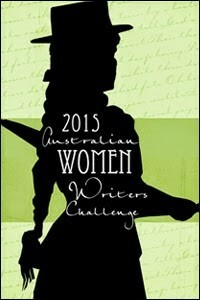 This entry was posted in Australian literature, Australian Women Writers Challenge 2015, Book reviews. Bookmark the permalink. I read this as the free download and was pleasantly surprised by how much I enjoyed it. Agree, though, that I’d have been very unhappy to buy it in this format and find it was the same story. Thanks for the heads up! Well, what a delightful post this is: I have been adventuring all over the web, starting with reading Chekhov’s delicious story, and then Sue’s and John’s review. And the comments… fascinating. But the Funder story? No, not even for free. I am a passionate admirer of Funder’s Stasiland but I was ambivalent about All That I Am when I read it and with the passage of time have now consolidated my view that I am unlikely to read her fiction again. Oh no, I bought this a few days ago without looking at the back, and of course, as you know, I read and reviewed the free one! Sucked in! Actually I was looking for gifts for my brother and saw this along the way. A new Funder I thought? Well, I’ll buy it because it will make a good Christmas present if I decide not to read it myself! I do not give away books I read. Well, now I will include it in my Xmas gift pile. I thought it was well written but I did feel it was a little too geared to a target market, artistic freedom or not. It has not lingered with me I must say. I hadn’t read the Chekhov story either, though she did allude to him as I recollect. On my recent trip back to Australia I spent a lot of time in a bookshop one day looking for AWW books I’d like to read but maybe aren’t available internationally. I picked up this one… and then put it back for all the reasons you mention, mostly the price… and I’m usually very happy to buy books I want to read and don’t mind buying the occasion very brief work in translation. I just had a look at the Paspaley site but I can’t find it there any more. I’m sure I saw it a few weeks ago.